Remember my friend Meg's home that she graciously shared? While many details caught my eye, her well curated and pleasingly arranged bookshelf is one of my favorite elements of the room. One day, I also hope to also have a wall of books; therefore, I'm constantly on the hunt for tomes to add to my collection. While browsing a bookstore on vacation, I came across the perfect volume. 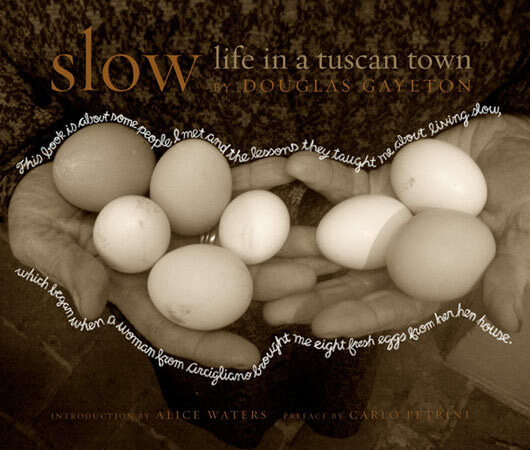 With a forward by Alice Waters and an Italian-English translation about food, this would find happy company in my home. There's nothing quite like a wondeful book! !